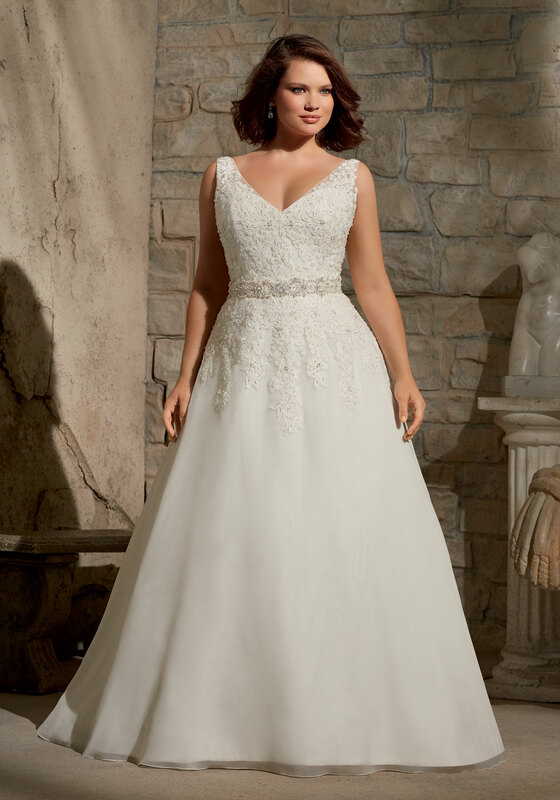 Embroidered Appliques with Crystal Beading on Delicate Chiffon Plus Size Wedding Dress Colors available: White and Ivory. Removable beaded Net belt included. 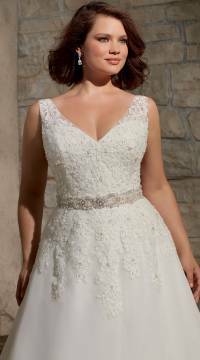 Belt also sold separately as style 11080/11080W. 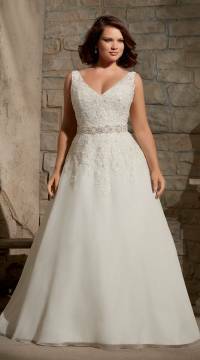 Sample is size 20. in ivory, in excellent condition.